High 5 Games bring us a game which harks back to a different era, where a knight’s metal must be tested to show his true worth, in a theme reminiscent of great tournament jousting and medieval movies such as Heath Ledgers ‘A Knights Tale’. There’s more than a resemblance with the lead character too, with his golden flowing locks and charming smile, resplendent in shining armor, ready to do battle and win the princesses affections. 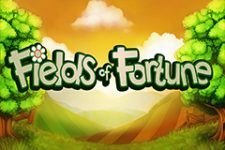 Of course, this is a slot game rather than a film, so all this takes place on a 5×4 reel grid, with a very generous amount of free spins hiding on it and a scatter bucks feature which adds random credit wins into the mix. With great graphics, wild symbols and a little higher variance than some other High 5 Games slots, this might have more than a little old-fashioned charm, steel yourselves my brave slot warriors, and venture forth! Along with several other games released around this time by High 5 Games, such as Figaro and the Foxy Dynamite slot, Golden Knight doesn’t have a stock single pay-line allocation. On this game, you have a base structure of up to 40 lines with another 40 in play if you want to place the feature bet and have the scatter bucks bonus active (Which you do – trust us). As a result, the minimum bet to have all 40+40 lines active with the feature is 1.60 credits, way higher than some H5G slots. We recommend having the whole structure active and playing at minimum bet rather than reducing the number of lines on a higher line bet if bankroll management is a concern. All the other controls are very simple, laid out clearly and well labelled, with manual and auto spin controls, last win replay, and windows for balance, bet and win figures. Both the golden knight and the glamorous princess he is attempting to woo are both worth a 400x coin reward. The fire breathing dragon can be slain for 250x and the golden knights’ trusty steed is worth the same. Here the bespoke symbol action ends, and this is something of a disappointment. The rest of the symbols in the pay-table are the oft-used ‘royal playing card’ symbols laid out through A-9 which offer rewards of 150x-100x, which isn’t a great variation of pay-outs across five icons. Whilst the high pay symbols could do with a tune-up, the rest of the game is in sync with the theme and the little audio touches such as a tournament style fanfare for wins are good. The reel backdrop is a forest with a castle overlooking the hill and the dragon of the slot airborne in the distance, no doubt he is off to cause some mischief which the knight must put a stop to. The reels themselves have a royal theme, with a gilded frame and velvet backing shared by the pay icons. There is a fixed wild in the form of a pair of shields which can arrive with or without a scatter bucks random credit award (assuming you have the bonus bet enabled). 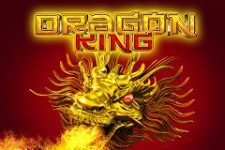 This offers the games max single prize of a 1000x bet multiplier and there is also a free games scatter which you will require three of to trigger the games free spins bonus round. It’s customary with High 5 Games slots to find only 7 spins available in the bonus round but to have several secondary bonus rounds active. Whilst there is only that number available initially on Golden Knight, they can be retriggered several times for a maximum of 98. The spins take place on a slightly different reel set and are introduced by a fire breathing dragon amid a really well-produced animation sequence. Also active in both the base game and bonus round if you played the feature bet is the scatter bucks bonus, it’s been used before by H5G under the mystery bucks name though, it’s effectively the same feature. In this game it attaches to the wild symbols and, turns the wild from a fixed wild into a symbol which also adds a random credit bonus as an instant win, regardless of whether it appears as part of a winning combination. Golden Knight has a little higher variance than we have seen from many other High Five Games titles, which is a welcome change. I do wish they had gone a little further with that and opened up a wider volatility range in their slots to match the wide variety of themes and playstyles. That said, many of these slots are played primarily as emulators, or free to pay slots in demo mode rather than for real cash, in that format, entertainment is the order of the day, with the occasional big win. 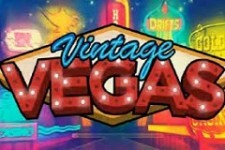 For those of us with slightly more gambling oriented desires, some of the games they have produced for other manufacturers such as IGT’s Double Da Vinci Diamonds slot, are more suited to the task.